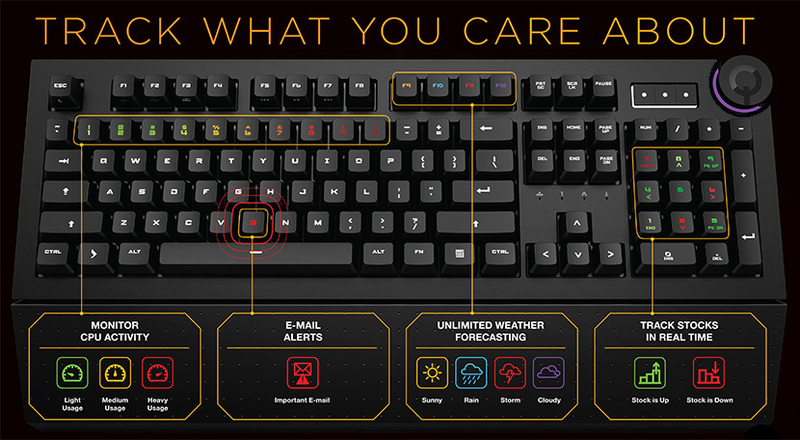 The Das Keyboard 5Q is a smart keyboard that can display color notifications. Notifications come from Twitter, Gmail, eBay, Facebook and many others online services. Hundreds of applications can be configured via the Q marketplace, IFTTT and Zapier. A REST API is available for programmers. The Dashboard shows the information represented by the keyboard RGB LEDs. Hovering over a key will display the notification content. 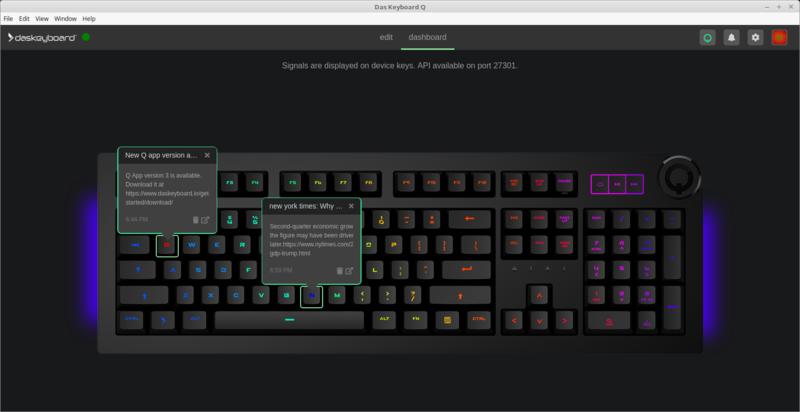 Try Das Keyboard Q today. Getting started is easy.